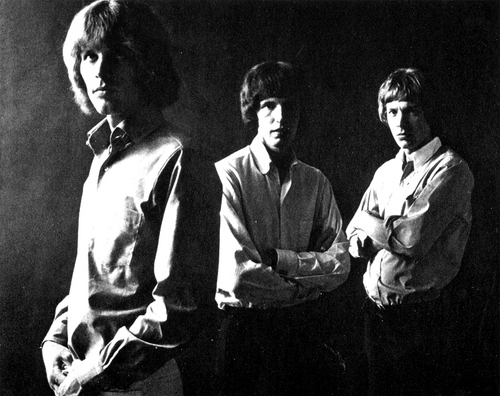 Last week saw the death of John Walker (nee Maus), of the 1960s pop trio The Walker Brothers. Most pop music fans know the Walkers primarily as an early chapter in the book of vocal god Scott Walker’s career, who came into his own later in that decade with a string of baroque and eclectic solo albums that showcased his legendary baritone. 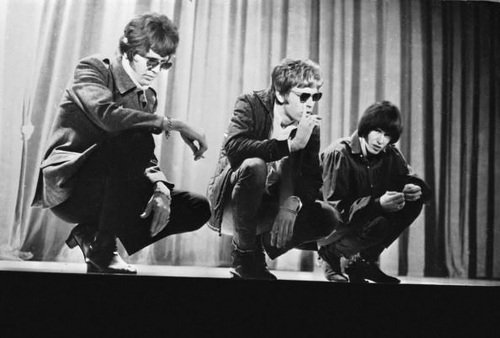 But the Walker Brothers came first in the Scott Walker chronology, and in some ways Scott would never have gotten far without John and his pitch-perfect vocal harmonies. The Walker Brothers clawed their way up the show business ladder in the early sixties in Los Angeles, as the house band at the West Hollywood nightclub Gazzarri’s, where they set the record for most consecutive performances. Their first recordings were covers of generic tunes like Do Wah Diddy which were mostly indistinguishable from the slew of other LA power pop songs released at the time. But once the Walkers crossed the pond to England their fortunes changed. There they refined their style, honing a hybrid sound that included Spectoresque wall-of-sound arrangements, blue-eyed soul, and John and Scott’s powerful, otherworldly harmonies. With this successful formula they hit their stride and had a series of chart-topping hits including Love Her, The Sun Ain’t Gonna Shine Any More, Make It Easy On Yourself, and My Ship Is Comin’ In. Scott’s dramatic lead vocals got the lion’s share of the spotlight, but John’s equally strong and evocative harmonies made the Walker Brothers recordings transcendent. Scott’s retreat from public life and his late-career forays into deep experimentalism ensured that the Walkers would never again sing together live, and thankfully precluded any latter-day golden oldies reunions. But nearly fifty years after their debut, the Walkers’ eerily beautiful vocal consonance is still astoundingly affecting. Despite their obscurity in this century, Scott and John Walker arguably were the best vocal duo in American rock music. Herewith are a few selections that illustrate the Walkers’ gorgeous song stylings. Scott’s serpentine lead vocals drive this tune, but John’s descant makes it soar. Note: the audio quality is wonky on this clip but the video images of the young and tender Walkers is worth a watch. John shows that he was a much better dancer than Scott, who looks miserably out of sorts in this live performance on German television. Another clip from German tv, with the Walkers prettily rendering Bob Dylan’s sprightly tune. Scott and John wail in perfect harmony in this densely layered slice of soul. A delicate and poignant country-tinged tune, again with impeccable harmonies by Scott and John. A solo version by John, displaying his clear, lovely intonation.